Contemporary, Minimalistic Design Meets Variety! In a closed position the TriaTrainer serves as the perfect abs and core trainer. Unfold one side into first position and convert the chair into a semi-bench for working your back muscles and glutes. Opened into full extension the TriaTrainer can be used for all standard bench workouts with or without free weights. 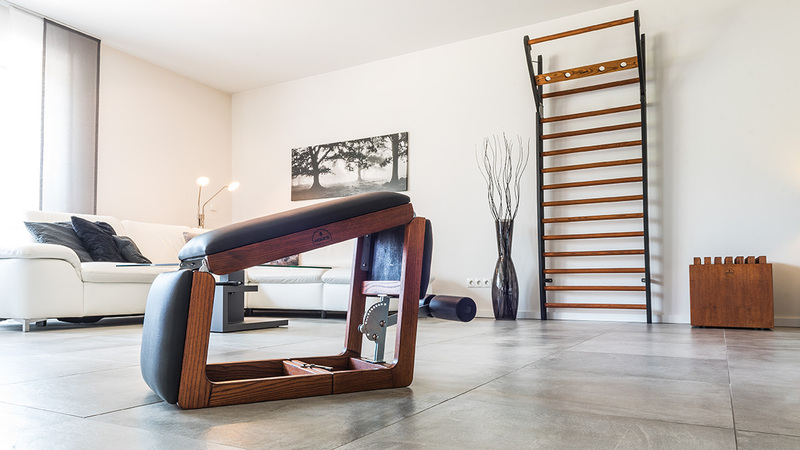 In a closed position the TriaTrainer servers as the perfect abs and core trainer. Unfold one side into first position and convert the chair into a semi-bench for working your back muscles and glutes. 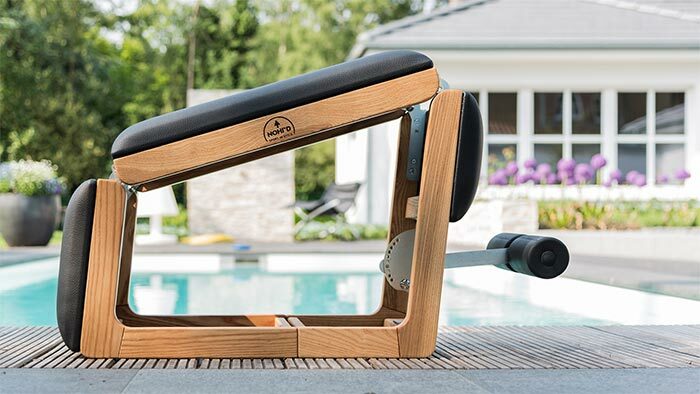 In its fully extended position, the TriaTrainer is ideal for any kind of bench workouts, with or without free weights. 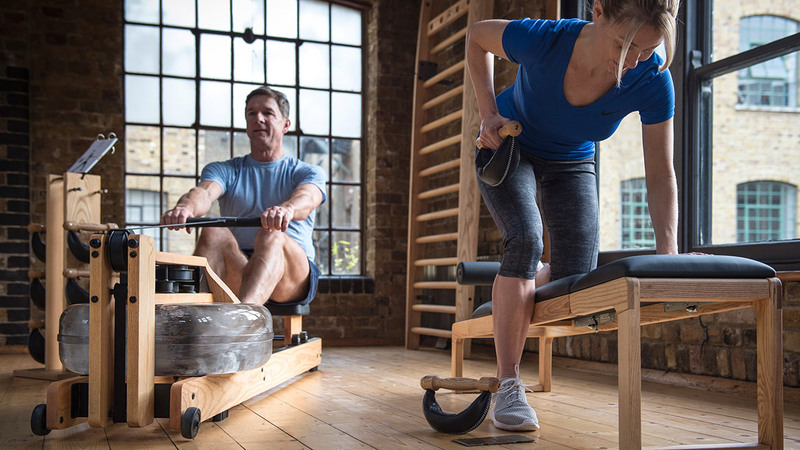 TriaTrainer are manufactured in ash, oak, cherry and walnut wood. 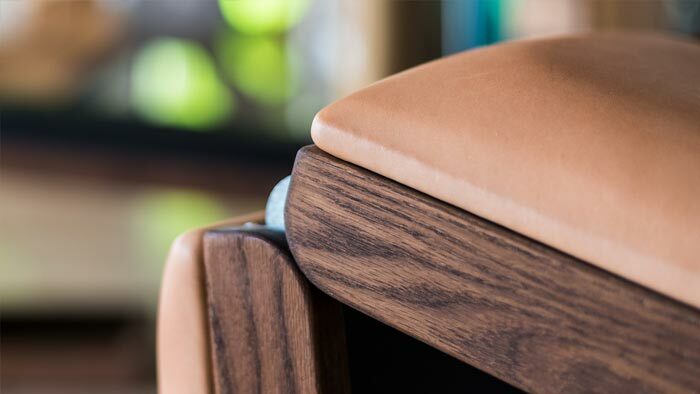 The footrest can be adjusted into different positions for users´ comfort. Thanks to its compact design, the TriaTrianer is a true space-saver and always easy to transport. Abdominal trainer for all exercise enthusiasts. Well-developed abdominal muscles are not just aesthetically pleasing but also highly recommended from a health point of view: regularly trained abs improve and stabilize posture and prevent back pain. An abdominal trainer is the ideal workout bolster: no matter your level, ab exercise will challenge you and deliver results. Ab trainers come in all shapes and sizes. Abdominal presses or ab-crunchers are specially framed pieces with neck supports. 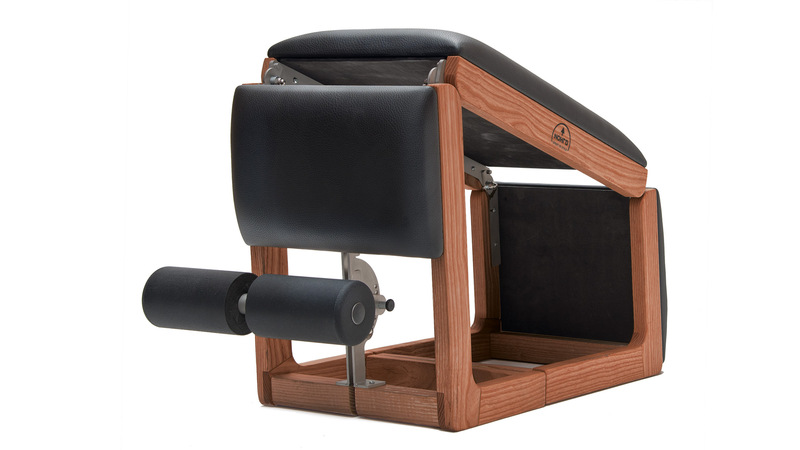 Ab-rollers are single wheels with side handles. 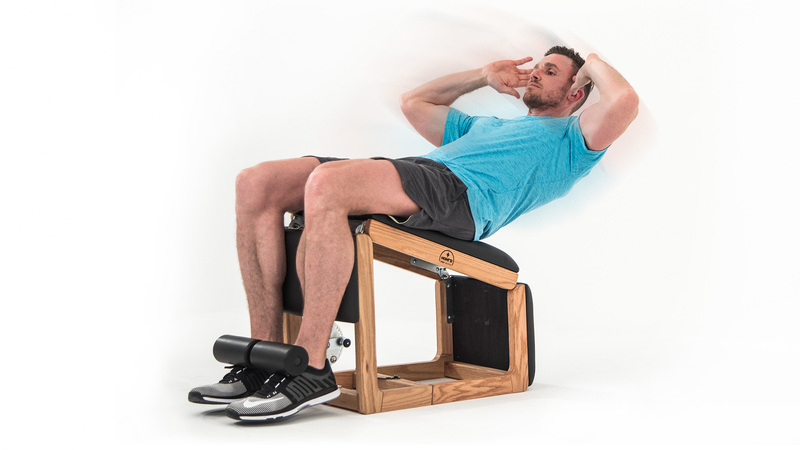 The exercise or sit-up bench meets all abdominal workout demands, guaranteeing optimal training; simply hook your legs behind the footrest and your body will have enough space for ab-specific exercises. 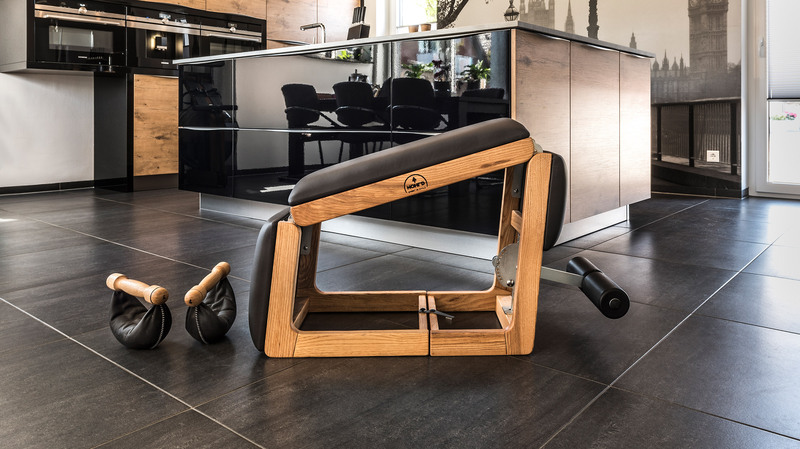 In its folded position, the TriaTrainer serves as an ideal ab trainer and can be perfectly combined with other exercise equipment for a total body workout! Lock your feet behind the TriaTrainer footrest and lift your upper body toward your legs, repeating as desired. Arms best placed behind your head or crossed over your chest. Add free weights for extra challenge! 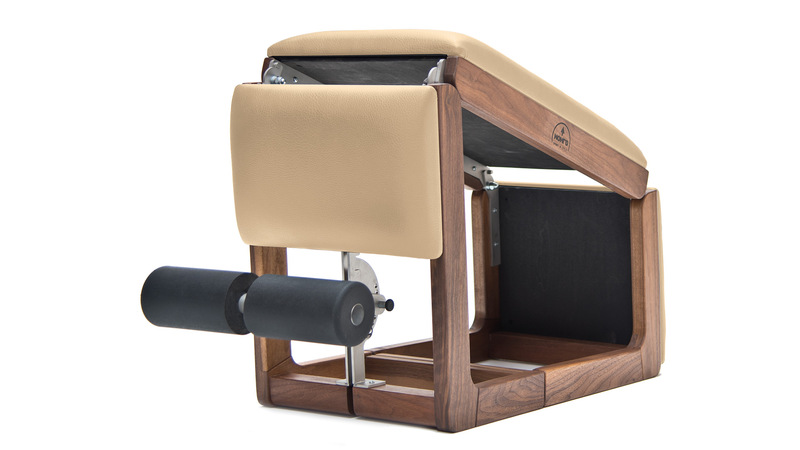 The TriaTrainer’s straightforward construction, easy handling, and the variety of exercise combinations it provides, distinguishes it as an ideal abdominal trainer for all fitness levels. Extending exercise with free weights can further work your shoulders and triceps. In its semi-opened position, use your TriaTrainer to work your back and glutes. Your back can be exposed to a variety of strain during your daily routine: hard physical labor, long periods of sitting and bad posture. Specific back training is highly recommended for preventing complications and pain. In its semi-opened position, your TriaTrainer is an effective workout tool for specific exercise focused on strengthening your back and glutes. As with most fitness equipment, there are various forms of back trainers. Crunch-machines combine abs and back training into one. Exercise stations provide a good variety- the most effective, and space-saving ones, are multi-functional pieces of fitness equipment. 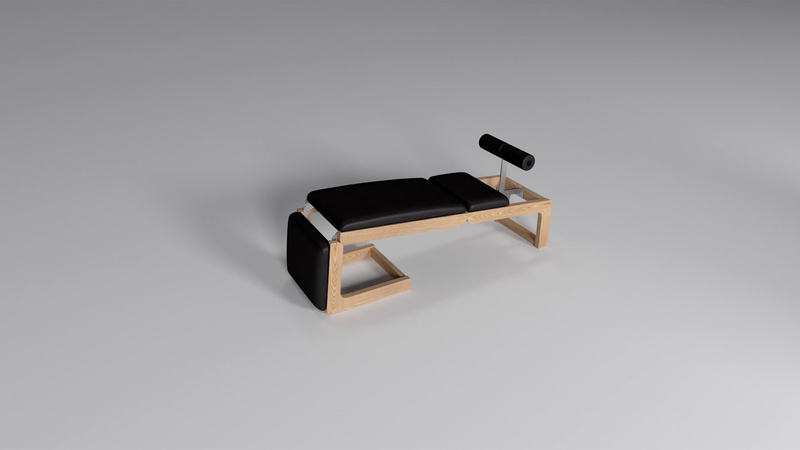 For back training use the TriaTrainer’s middle position: footrest upright and the upholstered bench is for stretching out in prone position. 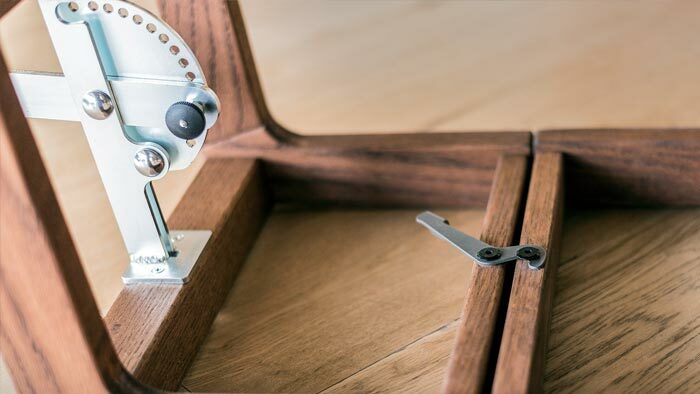 Lock your ankles under the padded footrest and clasp your hands behind your head. Engage your legs and glutes and raise your upper body, keeping your back straight - hold the position and slowly return to your starting position. When doing back exercises with your TriaTrainer, be sure to maintain a smooth and even motion in order to train your deep muscle layers. 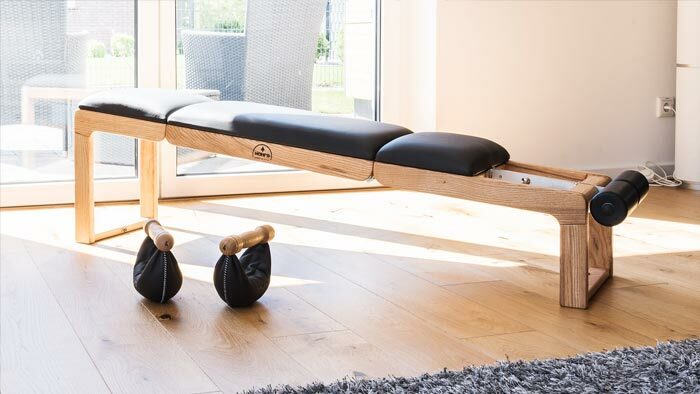 Enjoy this exercise bench for time-saving and effective back training at home. Free weight exercise has become increasingly popular among athletes all over the world - ideal for all fitness levels! Use free weights to target various muscle groups with a variety of weight bells and exercises. 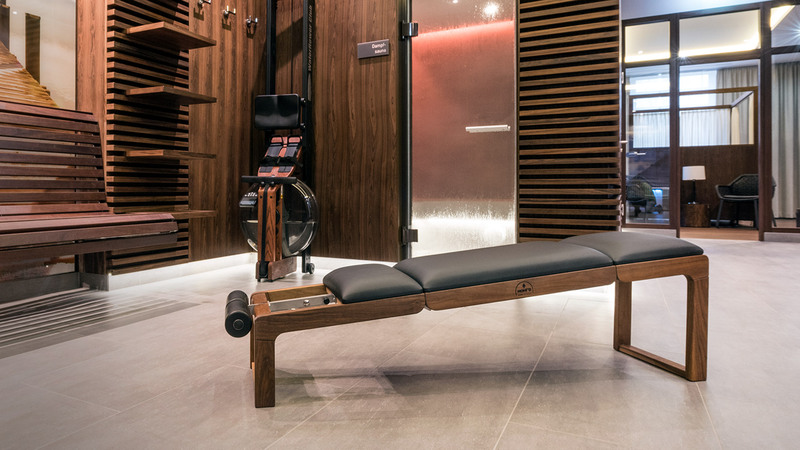 An exercise bench like the TriaTrainer is perfect for diversified, multifunctional workouts. Use the slanted bench position for muscle building! 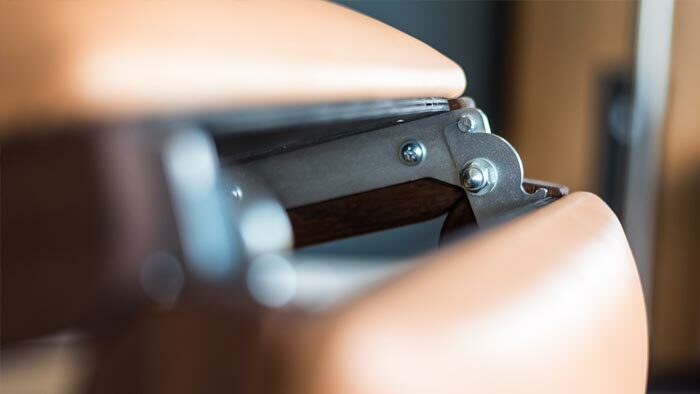 The elegant leather upholstery provides the necessary secure grip for your exercise. 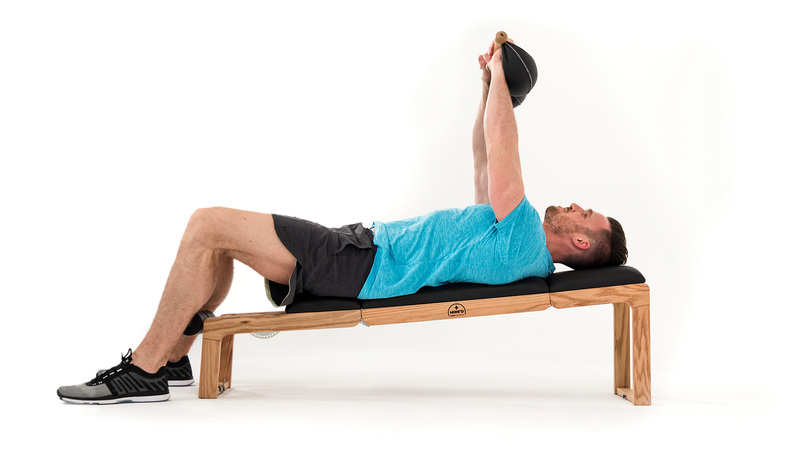 Classic bench pressing and dumb bell exercise with your TriaTrainer- simply unfold the bench until fully opened for both dumbbell or barbell exercises. The TriaTrainer does not come with a barbell rest, so we recommend dumbbell workouts. 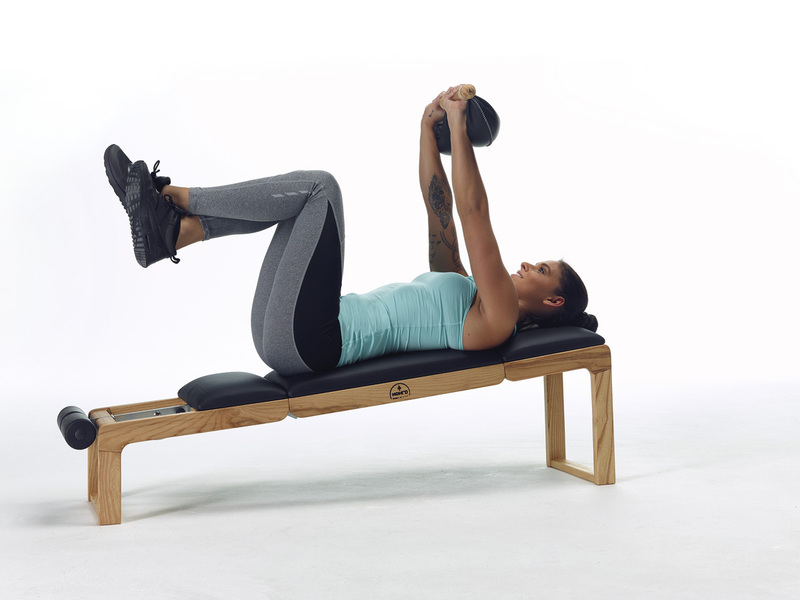 Exercises like shoulder presses or flys are easy to do and highly effective: Lie down or sit on your exercise bench with a dumbbell in each hand. Bring your arms up and down in a slow and precise flying motion or do curls, being careful to keep your feet set firmly.